Low coal prices have forced the Store Norske Spitsbergen Coal Company to shutter its largest mine on Svalbard. For Longyearbyen, the collapse of coal presents daunting challenges. But Arild Olsen, the town’s mayor and a former miner, sees opportunities ahead. 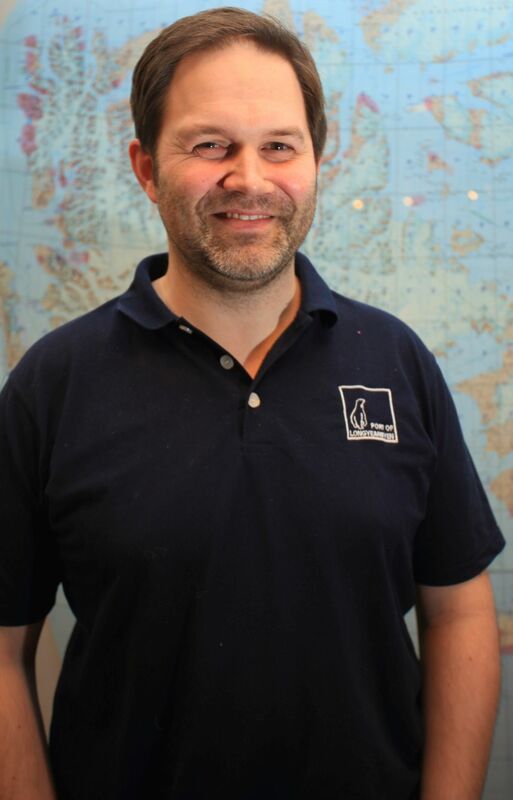 Arild Olsen is the new mayor of Longyearbyen, the world’s northernmost permanent settlement located on the Svalbard archipelago, halfway between the Norwegian mainland and the North Pole. Olsen grew up on an island along Norway’s northwest coast and came to Spitsbergen island as a young man to work in Store Norske’s Mine 7 outside Longyearbyen and later in the Svea mine. In 25 years, Longyearbyen has transitioned from an autocratic, government-subsidized company coal town to a vibrant, democratic tourist destination and major Arctic research hub. The population has grown to 2,000, with a thriving K-12 school system and bags of youthful energy thanks, in part, to favorable income tax breaks. Olsen sat down for an interview in the midday darkness of the polar night this past January, where he dismissed predictions that Longyearbyen’s darkest days lie ahead. Since taking office last October, Olsen has guided the town through hardship and heartache. 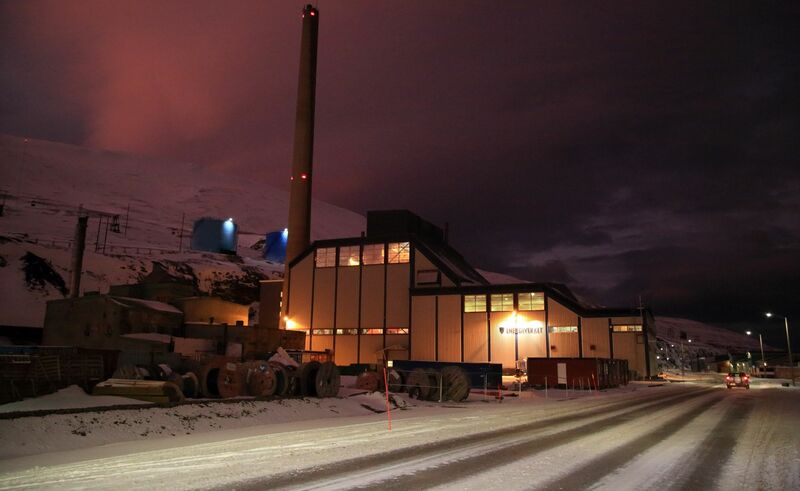 In September, state-owned Store Norske, the town’s main employer, announced severe job cuts and complete closure of the Svea mine south of Longyearbyen. The price of coal has dropped from $160 to $45 per ton since 2008, making it too expensive to mine on Svalbard. The Norwegian government has since pledged $11 million to cushion the economic transition after a $55 million bailout loan early last year. 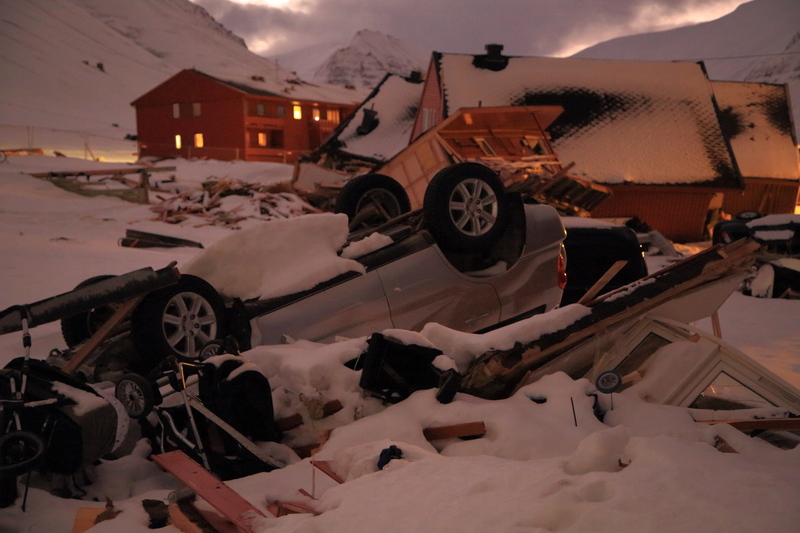 Then, in December, an avalanche smashed into a row of homes, killing two and injuring nine. Despite the setbacks, Olsen remains optimistic, citing the town’s growing popularity as a tourism and scientific hub and prospects for fisheries and aquaculture. Arctic Deeply: How did you make the trip from the mines to the mayor’s office? Arild Olsen: I’ve been in Longyearbyen a total of 16 years. I spent almost 11 years as a coal miner, and then became a spokesman for the coal miners’ union. At the same time, I started getting interested in politics. I was a spokesman for almost five years and then I decided to run for mayor as the Labor Party candidate. Arctic Deeply: The Svea mines are about 44km by air (27 miles) from Longyearbyen and are being shut down by the Store Norske Spitsbergen Coal Company. Do you think they are permanently closed? Arild Olsen: I don’t think they will reopen. They’re too expensive to run and coal prices are too low. The prices will come back, but if Store Norske can’t restart Svea within three years, they will shut it down permanently. In terms of coal prices and overproduction in the world, I wouldn’t put my money on it [reopening]. At Lunckefjell, the new mine near Svea, the coal is very good quality, but it has to be put on a truck, driven over a glacier, put on a conveyor belt through the Svea North mine and onto a new truck, and then driven out to the harbor. That’s expensive. Arctic Deeply: Store Norske is keeping the local Mine 7 open to supply Longyearbyen’s energy needs. What percentage of Store Norske’s previous production does Mine 7 represent? Arild Olsen: Oh, none! At Svea we were running up to 4 million tons per year and here in Longyearbyen they are producing 60,000 tons. We opened Svea in 2000 and produced around 30 million tons in 15 years, which equals the total production from Store Norske’s first mines in Svalbard from 1916 until 2000. Svea holds European production records, but now we’re at the end of the mine. The quality is poorer, the seam is lower and they need to strengthen the roof supports, which means higher costs. Arctic Deeply: How many jobs will be lost and how will it affect the local economy? Arild Olsen: Well, it depends who you are asking. There were about 340 jobs before, and now there will be 50 at Mine 7 and 50 at Svea to keep it ready for operation. So there will be 50 people staying here in Longyearbyen, and that’s good. In Svea, a lot of them worked 14 days there and then went back to the mainland for 14 days off. We don’t know exactly how many did this, so that’s why it’s very difficult to predict exact numbers. That’s why I’m not saying all this is catastrophic. Arctic Deeply: The Russian coal-mining town of Barentsburg is only 50km (31 miles) south of here by snowmobile. Do the two communities interact economically or politically? Arild Olsen: We have competitions, one in the autumn and one in the winter, and compete in sports and chess and have cultural programs like exchanging songs. We go over there for Christmas, Easter, and we send some kids over. So we have a good relationship and we don’t, well I don’t, get into geopolitics. I need to focus on Svalbard and what we are doing here. We’ve got a lot of people who used to live in Barentsburg who are now living in Longyearbyen. According to the Svalbard Treaty, people from any of the countries that have signed it can come to Svalbard and work. We’ve got over 40 different nationalities here in Longyearbyen. And that works out very well. I’ve been here 16 years and honestly haven’t heard one discussion about the color of your skin or religion. Never, ever. I think that’s one of the very good qualities here in Longyearbyen. Arctic Deeply: Is Barentsburg facing some of the same problems as Longyearbyen? Arild Olsen: Barentsburg has been suffering for a long time. The mine has high-sulfur coal and the miners are operating on a seam underwater, not high in the hillside like us, where there’s not a lot of methane gas. They had a fire at the Barentsburg mine eight years ago, where some died, and then they flooded the mine. It has since reopened, but I don’t think they have any big production. It’s expensive to run a society in the Arctic, and with the cost of the production system and the fact that they aren’t producing a large volume of coal in Barentsburg – it can’t be funded with coal. Arctic Deeply: Is Longyearbyen subsidized by the national government? Arild Olsen: In the late 1980s the government said it wanted out. The operation here in Svalbard was costing more and more money. This was a company town where Store Norske decided everything, but they were subsidized and didn’t make any money. The Norwegian government formed a new company called SSD to run the city and took assets from Store Norske and formed Spitsbergen Travel, which now employs 100 people. Then they said tourism by itself would not be enough, and out of that came the University Centre in Svalbard (UNIS). It started here in 1993 with 23 students and now exceeds 500. It’s proven to be a brilliant idea. Arctic Deeply: A few years ago the national government offered financing for port expansion to accommodate the growing cruise ship traffic. What is the status of that project, and Longyearbyen’s prospects in general? Arild Olsen: That’s on hold, but the [government’s] money is still there – 200 million Norwegian crowns ($23 million). We didn’t do a good enough job selling it to the government. I think it will happen and needs to happen. Tourism in itself is sustainable. We are trying to get tourists to remain longer in Longyearbyen and also to stay here in the dark season. That’s proven successful, because the numbers are going up. So I think tourism will be here for a long time, and that’s also the case for UNIS. I think they can have a bigger role here in Longyearbyen. We need to integrate UNIS so it melds together, like a campus town. We are also looking into fisheries, especially crabs or cod. I don’t think it will become a big volume, but I reckon it will fill a missing hole. And then there’s space information. [Longyearbyen’s 31-antennae mountaintop Svalbard Satellite Station is the only facility outside Antarctica downloading data from all 14 orbiting polar satellites.] There are 50 people there. Not big numbers, but they are climbing steadily each year. The transformation in just 25 years from a company town to what you see today, a democratic model, is a success story in almost every way. This version corrects an earlier version of the story in which it was reported that the Svea mines had been closed at the end of 2015. In fact, the closure occurred in February 2016.